▪ Fine Art Auctions Miami: Sale of early drawings and sculptures by Agustin Cárdenas, on view from Nov. 21. 4141 NE Second Ave., Suite 106A, Design District. Auction, 5 p.m. Dec. 6. faamiami.com. ▪ PRIZM: 7300 Biscayne Blvd., 10 a.m.-5 p.m. through Friday, noon-5 p.m. Saturday and Sunday, through Dec. 13. $10. ▪ PULSE: Indian Beach Park, 4601 Collins Ave., through Dec. 5. $25; seniors/students $15. pulse-art.com. ▪ SATELLITE: Multiple North Beach locations (Ocean Terrace Hotel, Surf Med Pharmacy, The Restaurant, North Beach Bandshell, Collins Avenue between 73rd and 75th streets). Free. 4-10 p.m. Dec. 1; noon-9 p.m. Dec. 2; noon-10 p.m. Dec. 3-5; noon-6 p.m. Dec. 6. satellite-show.com. ▪ Miami Project: Deauville Beach Resort, 6701 Collins Ave., Miami Beach; 11 a.m.-7 p.m. Dec. 2-5; 11 a.m.-6 p.m. Dec. 6, with shuttles from Miami Beach Convention Center. $25. miami-project.com. ▪ MOCA, Museum of Contemporary Art North Miami: Opening of Carlos Salas: Latin America and the Global Imagination. Free to members (membership $50). 770 NE 125th St.; mocanomi.org. 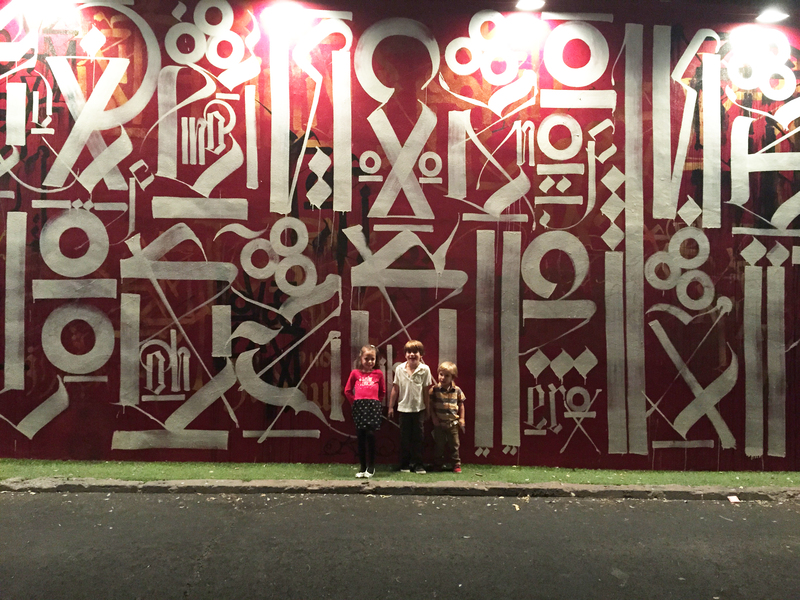 ▪ Wynwood Walls: Unveiling of 14 new, large-scale murals, 2516 NW Second Ave., Miami. 11 p.m.-2 a.m. Free. thewynwoodwalls.com. ▪ Littlest Sister: “Faux” invitational art fair features 10 unrepresented women-identified Miami based artists. Spinello, 7221 NW Second Ave. Noon-7 p.m. Free. littlestsister.com. ▪ Art Beat Miami: Showcase of emerging and renowned artists from Haiti and around the world, including artist talks and ongoing exhibition of Little Haiti Mural Project Showcase. Free. Little Haiti Cultural Center, 212 NE 59th Ter. Opening, 6-9 p.m., with events throughout the week. Free. artbeatmiami.com. ▪ De la Cruz Collection: “You’ve Got to Know the Rules . . . to Break Them,” selections from the collection of Rosa and Carlos de la Cruz explore the artists’ technical acumen from new American Abstraction to German Neo-Expressionism. Plus, “Per Contra,” work by Félix González-Torres, Ana Mendieta and Rob Pruitt. 23 NE 41st St., Design District. 9 a.m.-3 p.m. daily. Free. delacruzcollection.org. ▪ Institute of Contemporary Art Miami: Shannon Ebner’s A Public Character, the first major museum presentation of the artist’s work. Plus “Alex Bag — The Van (Redux),” centers around the 2001 video The Van, shown inside a van. Moore Building, 4040 NE Second Ave., Suite 200, Design District. 11 a.m.-7 p.m. daily. Free. icamiami.org. ▪ Snarkitecture: Exhibition of abstracted and exaggerated interpretations of the traditional holiday candy cane form. Paseo Ponti, Design District. Free. 24 hours. ▪ Hermes: Presents collaboration with Argentinian artist Julio Le Parc. 163 NE 39th St., Design District. 11 a.m.-7 p.m. Free. ▪ Art Africa Miami 2015: Carver Building, 801 NW Second Ave., downtown Miami. 7-10 p.m. Dec. 2; 11 a.m.-7 p.m. Dec. 3-5; brunch noon-2 p.m. Dec. 6. Free except Sunday brunch, $50. theurbancollective.co. ▪ Art on Paper: Deauville Beach Resort, 6701 Collins Ave., 11 a.m.-7 p.m. Dec. 2-5; 11 a.m.-6 p.m. Dec. 6. $25. thepaperfair.com. ▪ Art Miami: 3101 NE First Ave., 11 a.m. to 8 p.m. Dec. 2-5; 11 a.m.-6 p.m. Dec. 6. $40; senior/student discounts and multiday packages; combinations with CONTEXT and Aqua available. artmiamifair.com. ▪ CONTEXT Art Miami: 3101 NE First Ave., 11 a.m. to 8 p.m. Dec. 2-5; 11 a.m.-6 p.m. Dec. 6. $40; senior/student discounts and multiday packages; combinations with CONTEXT and Aqua available. artmiamifair.com. ▪ Design Miami/: Meridian Avenue and 19th Street, 10 a.m.-8 p.m. Dec. 2-3, 11 a.m.-8 p.m. Dec. 4; noon-8 p.m. Dec. 5; noon-6 p.m. Dec. 6. $25; students/seniors $20; combination with Art Basel, $60. designmiami.com. ▪ INK Miami, Suites of Dorchester, 1850 Collins Ave., 9 a.m.-5 p.m. Free. inkartfair.com. ▪ PINTA: Mana Wynwood, 318 NW 23rd St.; 5-9 p.m. Dec. 2; 11 a.m.-8 p.m. Dec. 3-5; 11 a.m.-6 p.m. Dec. 6. $20. pintamiami.com. ▪ Red Dot: 1700 NE Second Ave., Performing Arts District. Noon-6 p.m. Dec. 2, with 6-10 p.m. benefit reception; noon-8 p.m. Dec. 3-5; noon-6 p.m. Dec. 6. $20; free on Dec. 3-4. reddotfair.com. ▪ SCOPE: 801 Ocean Dr., Miami Beach; 11 a.m.-8 p.m.; $35 ($25 students). scope-art.com. ▪ Spectrum: 1700 NE Second Ave., Performing Arts District; 6-10 p.m. opening, $25; noon-8 p.m. Dec. 3-5, noon-5 p.m. Dec. 6, $20. spectrum-miami.com. ▪ UNTITLED: Ocean Drive and 12th Street, Miami Beach; 11 a.m.-7 p.m. Dec. 2-5; 10 a.m.-5 p.m. Dec. 6, with shuttle to Miami Beach Convention Center. $28; students/seniors/Miami Beach residents $18. art-untitled.com. ▪ X Contemporary: Mana Wynwood, 3401 NE First Ave. noon-9 p.m. Dec. 2-5; noon-6 p.m. Dec. 6. $10. x-contemporary.com. ▪ Art Public/Art Basel Miami Beach: Opening of public exhibition of 27 outdoor art installations around the theme of Metaforms, plus Dec. 2 performances from 8-10 p.m. Free. artbasel.com. ▪ Locust Projects: Martha Friedman’s Pore, installation and performance. 8 p.m. Dec. 2, 11 a.m. and 8 p.m., Dec. 3; 11 a.m. only Dec. 4 and 6, 11 a.m. and 6 p.m. Dec. 5. 3852 N. Miami Ave., Design District. Free. locustprojects.org. ▪ Flash: Lenny Kravitz Photo Exhibition: 160 NE 40th St., Design District. 11 a.m.-7 p.m. Free. ▪ Unframed Ellis Island: Pop-up exhibition by Galerie Perrotin featuring a 14-minute film with Robert De Niro and photographs of 19th and 20th century immigrants. The Melin Building, 3930 NE Second Ave., Design District. Free. 11 a.m.-7 p.m.
▪ UNREALISM: Exhibition of figurative art organized by mega-dealers Jeffrey Dietch and Larry Gagosian. The Moore Building-Elastica, 191 NE 40th St., Design District. 11 a.m.-8 p.m. Free. bridgehouseevents.com. ▪ White Cube Gallery: Larry Bell: 6 X 6 An Improvisation, 40 free-standing glass panels. The Melin Building, 3930 NE Second Ave., Suite 200, Design District. 11 a.m.-7 p.m.
▪ Art Basel Sound Work: Mariele Neudecker at Soundscape Park/New World Center, 500 17th St., Miami Beach, 6 p.m., Dec. 2. Free. artbasel.com. ▪ Art Basel Film: Evening program of two collections of short films, Fairy Doll (8 p.m. Dec. 2) and Speak Easy (9 p.m. Dec. 2). Free. Soundscape Park/New World Center, 500 17th St., Miami Beach. artbasel.com. ▪ Holoscenes: Performance installation by TED Senior Fellow Lars Jan. Kyriakides Plaza, Miami Dade College Wolfson Campus, 300 NE Second Ave., downtown Miami. 10 a.m.-4 p.m. Free. mdclivearts.org. ▪ Urban Experience: Four days of art, music, fashion, culture and sidewalk art. 175 NW 14th St., Miami. 6 p.m.-2 a.m. Free. ▪ Sean Kelly X Chrome Hearts: Work by Marina Abramović, Los Carpinteros, Jose Dávila, Robert Mapplethorpe, Mariko Mori, Alec Soth and Kehinde Wiley. Chrome Hearts, 4025 NE Second Ave., Second Floor. Free. ▪ Aqua Art Miami: Aqua Hotel, 1530 Collins Ave.; noon-9 p.m. Dec. 3; 11 a.m.-9 p.m. Dec. 4-5; 11 a.m.-6 p.m. Dec. 6. $15. aquaartmiami.com. ▪ Art Basel Miami Beach: Miami Beach Convention Center, 1901 Convention Center Dr., Miami Beach; 3-8 p.m. Dec. 3; noon-8 p.m. Dec. 4-5; noon-6 p.m. Dec. 6. $47; students/seniors $30. Multiday and combination tickets with Design Miami/ available. artbasel.com. ▪ ArtSpot: 1700 NE Second Ave., Performing Arts District. 1-9 p.m. Dec. 3-5; noon-6 p.m. Dec. 6. $20. artspotmiami.com. ▪ Fridge Art Fair Miami: Holiday Inn Miami Beach-Oceanfront, 4333 Collins Ave., with shuttle to Pulse and NADA. 4-9 p.m. Dec. 3; 11 a.m.-9 p.m. Dec. 4-5; 11 a.m.-7 p.m. Dec. 6. fridgeartfair.com. ▪ Miami Photo Salon: 1700 NE Second Ave. (inside Spectrum), Performing Arts District. 1-9 p.m. Dec. 3-5; noon-6 p.m. Dec. 6. miamiphotosalon.com. ▪ NADA (New Art Dealers Alliance): Fountainbleau Miami Beach, 4441 Collins Ave., 2-7 p.m. Dec. 3; 10 a.m.-7 p.m. Dec. 4; 10 a.m.-6 p.m. Dec. 5. $20; $10 seniors/students. newartdealers.org. ▪ Art Basel Conversation: Artist talk with Trevor Paglen and Jenny Holzer, 10 a.m. Hall C auditorium, Miami Beach Convention Center, 1901 Convention Center Dr. Free. artbasel.com. ▪ ICA Performs: Los Angeles-based artist Erika Vogt presents the Artist Theater Program, a collaborative performance commissioned in partnership with Performa 15. Institute of Contemporary Art-Miami, Moore Building, 4040 NE Second Ave., Suite 200, Design District. 3 p.m. Free. icamiami.org. ▪ Pérez Art Museum Miami: Dev Hynes and Ryan McNamara sound and visual performance, 9 p.m.-midnight. Free for sustaining members ($175). 1103 Biscayne Blvd., downtown Miami. pamm.org. ▪ Louis Vuitton Objets Nomades: Louis Vuitton design collaboration on foldable furniture and travel accessories paying homage to the House’s special orders of the past. 140 NE 39th St., Design District. 10:30 a.m.-7:30 p.m. Free. ▪ Loewe Foundation: Exhibition bringing Spanish history into modern context by British artists Anthea Hamilton, Paul Nash, Lucie Rie and Rose Wylie. 110 NE 39th St., Suite 102; Design District. 11 a.m.-7 p.m. Free. ▪ 100+ Degrees in the Shade: A Survey of South Florida Art: Work by South Florida artists. 3900 N. Miami Ave., Design District. 11-9 p.m. daily. Free. ▪ Art Basel Sound Work: Sofie Alsbo at Soundscape Park/New World Center, 500 17th St., Miami Beach, 6 p.m. Free. artbasel.com. ▪ Art Basel Film: Evening program featuring Afterward Via Fantasia, an opera written by George Lewis (8 p.m.) and Sea of Silence, a selection of short films (10 p.m.). Free. Soundscape Park/New World Center, 500 17th St., Miami Beach. artbasel.com. ▪ Fine Art Auctions Miami: Sale of “Important Painting & Sculpture Auction.” 4141 NE Second Ave., Suite 106A, Design District. Auction, 5 p.m. faamiami.com. ▪ Now or Neverland: Adventures in Urban Surrealism: Presented by Miami Urban Contemporary Experience, Chef Creole and #ArtCentralMiami. 3-10 p.m., 3-8 p.m. Dec. 6. $15. muce305.com. ▪ Art Beat Vernissage: Little Haiti Cultural Center, 212 NE 59th Ter., 6-9 p.m. Free. artbeatmiami.com. ▪ Miami Supercar Rooms: Celebration of rare auto museum and unique dining experience opening in February. 9:30 p.m. 2022 NW 1st Court, Wynwood. Free. ▪ Argentinian Artists in Miami: Miami Dade College Freedom Tower, 600 Biscayne Blvd., downtown Miami. Noon-5 p.m. Free. ▪ Art Basel Conversations: The Artist as Slow Traveler, 10 a.m., Hall C auditorium, Miami Beach Convention Center, 1901 Convention Center Dr. Free. artbasel.com. ▪ Art Basel Sound Work: Camille Norment at Soundscape Park/New World Center, 500 17th St., Miami Beach. 6 p.m. Free. artbasel.com. ▪ Art Basel Film: Duet, a collection of short films (8 p.m.) and Snow Job, a selection of short films (9 p.m.). Free. Soundscape Park/New World Center, 500 17th St., Miami Beach. Free. artbasel.com. ▪ Troublemakers: The Story of Land Art, by James Crump. Special Art Basel film screening at Colony Theatre, 1040 Lincoln Rd., Miami Beach. 8:30 p.m. Free. artbasel.com. ▪ Art Basel Conversation: Should art schools prepare artists for the art world? 10 a.m., Hall C auditorium, Miami Beach Convention Center, 1901 Convention Center Dr. Free. artbasel.com. ▪ 100+ Degrees in the Shade: A Survey of South Florida Art: Book release brunch, Girls’ Club Fort Lauderdale, 117 NE Second St., Fort Lauderdale. Free. girlsclubcollection.org. ▪ Art Basel Sound Work: Alice Jacobs at Soundscape Park/New World Center, 500 17th St., Miami Beach. 6 p.m. Free. artbasel.com. ▪ Art Basel Film: Two short films, Vanishing Point (8 p.m.) and Bikini Carwash (9 p.m.). Soundscape Park/New World Center, 500 17th St., Miami Beach. Free. artbasel.com. ▪ Untitled (Material Matters): Exhibition of work by Carlos E. Sandoval de Leon at Under the Bridge Art Space, 12425 NW 13th Ave., No. 4. 10 a.m.-noon. Free. ▪ Art Basel Conversation: The artist and the gallerist. 10 a.m., Hall C auditorium, Miami Beach Convention Center, 1901 Convention Center Dr., Miami Beach. Free. artbasel.com. ▪ Celebrity Brunch with Chef Creole & Friends: 11 a.m.-1 p.m., Little Haiti Cultural Center, 212 NE 59th Ter. $25. artbeatmiami.com. ▪ Breakfast at the Park: Lecture by sculptor Alice Aycock and outdoor breakfast, 9:30-noon, Frost Museum of Art at FIU, 10975 SW 17th St., West Miami-Dade. thefrost.fiu.edu. ▪ Bubbles and Brunch: Breakfast at the Lowe Art Museum at the University of Miami, 1301 Stanford Dr., 10 a.m., with a talk by New Yorker cartoonist and author Roz Chast at 11:30. $15. Error! Hyperlink reference not valid..